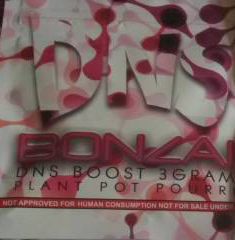 Now I am going to write about an incense blend called Bonzai DNS. According to it’s label it does not contain any banned substances. As one of the first true Generation 4 blends I have tried I must say I am very impressed. It does not have an aroma per se, but its aromatic properties are more than pleasing. This is not going to be like the herbal incense blends of old, but it does not have to be. This is a unique and relaxing experience, one that I welcome. No heart racing…no feelings of paranoia…it is simply a delightful blend for use at the end of the day. I felt productive and proactive, not sluggish and lethargic. It produces a fine yet verbose smoke, the effects of which last for around 30 to 45 minutes.